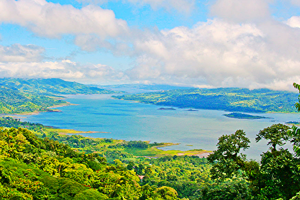 Arenal Guru helped many new arrivals as well as Costa Ricans to successfully purchase their dream properties around the beautiful Lake Arenal and Costa Rica generally. With a commitment to service and integrity, the English and Spanish speaking staff, ready to provide you with perfect Costa Rican properties that match your particular needs. Arenal Guru Real Estate has built a well-known reputation for a friendly, no pressure consultative sales approach. The result has been highly satisfied clients. You will find everyone on the staff working hard to ensure you feel comfortable with the process, have all your questions answered honestly and making sure you find your ideal home or property in tropical paradise. Arenal Guru is committed to your total satisfaction, outstanding service and to helping bring joy and ease to your life in this incredible place. Please call or email today. We look forward to answering your questions about buying property in Costa Rica and being of service. We at Arenal Guru real estate take pride in being the leading Lake Arenal real estate source with over 150 properties and homes for sale and rent, lake-wide and beyond. Please call or email with your questions… or visit us at Arenal Guru office for a presentation of available properties, free area advice and to get your questions answered honestly about real estate in Costa Rica.